The land outside of the Old City was supposed to be green, lush, hopeful. But the verdant fields are nothing but ash-and hope is nowhere to be found. 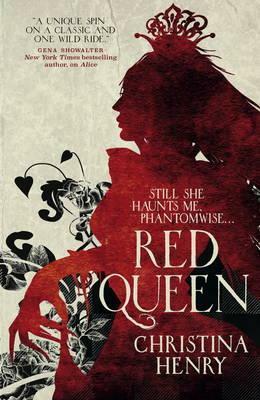 Still, Alice and Hatcher are on a mission to find his daughter: a quest they will not Forsake even as it takes them deep into the clutches of the mod White Queen or into the realm of the twisted and cruel Black King. The pieces are set and the game has begun, and each move brings Alice closer to her destiny. Christina Henry is the author at the national bestselling Black Wings series (Black Spring, Black Heart, Black City), featuring Agent of Death Madeline Black and her popcorn-loving gargoyle, Beezle. Christina lives in Chicago with her husband and son.